We finally took off the long leash and let her go on the beach. Tide was out, so lots of puddles to splash in, and lots of other puppies and dogs around. She wasn't too sure at first, but went off a little bit, more at a trot than a run. We're delighted, she came back when called, didn't stray too far, and had a whole new experience, so is now spark out on the couch sleeping off the sounds and smells. We're very lucky, we have about 5 beaches within 15 minutes drive, and to the South, lots of mountain trails and hikes which we may try out next weekend. riley455, texasred, Bob Engelhardt and 2 others like this. Looks like she's feeling much better. What a special trip all around. The beach is the one thing I miss about where I live. Nothing replaces it. 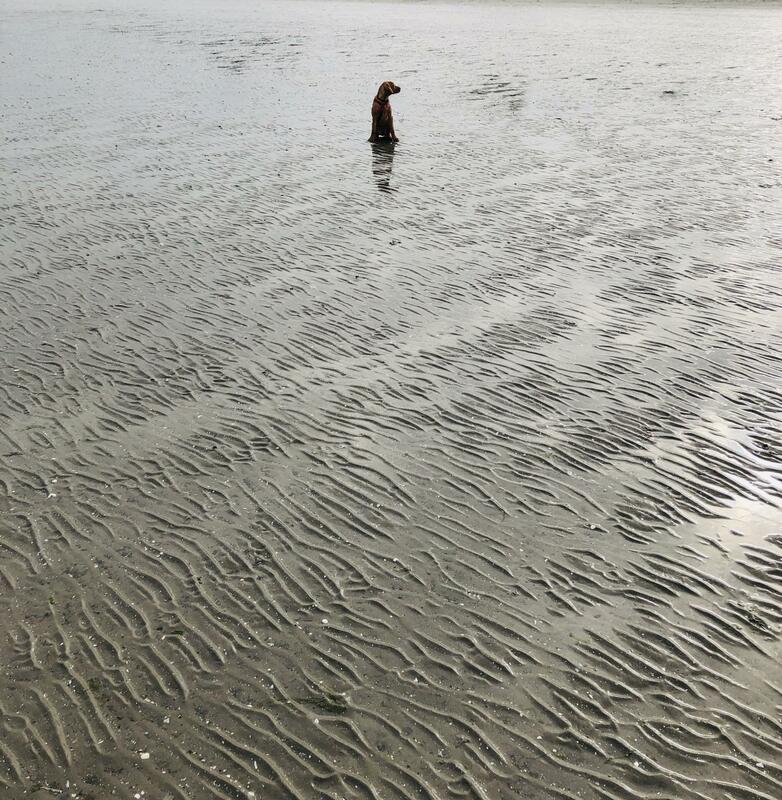 The beach is the perfect place for young pups to run, and play. The sand is very for giving on their joints.